In the summer of 1941 a young girl called Margaret Roberts sat her School Certificate exam. Geography posed a particular problem. The first paper, based on work with Ordnance Survey maps, was not too bad, but another paper on the British Isles and ‘one continent’, as she later wrote in her earliest surviving letter, ‘was very disappointing’. America was the continent and Margaret thought the questions ‘not at all bad’, but out of the three on the British Isles, ‘there was only one we could touch’. Scotland and Ireland, nevertheless, would crop up throughout Margaret Thatcher’s long life, remaining subjects of bafflement and, during her lengthy premiership, sources of political strife. Both are also subject to mythology, even more potent than that which has shaped the pro- and anti-Thatcher narratives since her downfall in 1990. Indeed, the renewed debate about her legacy that followed her death in April highlighted this, her acolytes overstating her achievements and her detractors exaggerating her failings. Two books, both with the same title – No Turning Back – but one authorized and the other, as biographers say, permitted, have made a good start in separating myth from reality. She was born and raised in Grantham, an unremarkable Lincolnshire town situated between London, the North East (of England) and Scotland. The geographical context is important, for it shaped Thatcher’s view of England – and importantly it was England rather than the UK – and its relative importance in the British Isles. The mandarin Robert Armstrong called it ‘a very English Englishness’; to Harris she was an ‘unashamed nationalist’, and it seems likely he means of the English variety. Scots nevertheless crop up in Thatcher’s early life, though often in rather stereotypical ways. A teacher, Miss Gillies, a ‘fiery Scot’, thought, according to a contemporary, ‘that Margaret needed taking down a peg’, while Johnny Dalkeith (later an Edinburgh MP), whom Thatcher considered ‘rather a marvellous person’, raised money at Oxford to buy her a bicycle. She appears to have had a soft spot for patrician Scots Tories in the mould of Dalkeith (later the Duke of Buccleuch) and Alec Douglas-Home, whom Margaret always referred to in her overly familiar way as ‘Alec’. Then there were potential suitors. ‘He’s about 35 and has a kind of naiveté that only a Scotsman can have,’ wrote Margaret of the earliest. ‘And being a Scotsman he left a nine penny tip for the waiter.’ William Cullen, known as Willie, actually belonged to a colony of Scottish farmers who had moved to Essex before the war to escape the poor state of agriculture north of the border. They retained, as Moore writes, ‘a strong collective identity’. Thatcher, however, appears to have perceived only his Scottishness. ‘He speaks with a frightfully Scotch accent,’ she wrote to her sister Muriel and, on another occasion, ‘My Scottie farmer met me off the train’. Thatcher soon tired of Cullen and successfully fobbed him off on her sister, with whom he enjoyed a long and happy marriage. Later, when Muriel started producing children and giving them Scottish names, Margaret wrote with obvious irritation, ‘for heaven’s sake let one of your children have an English name as England is the country of William’s choice as distinct from that of his birth’. Another Scot took Cullen’s place, this time a medical superintendent from the Southern Hospital. A blacksmith’s son from Clatt in Aberdeenshire, Robert Henderson had developed the British version of the US ‘iron lung’, which saved many lives. ‘He was a Scot,’ recalled Thatcher when prompted by Moore later in life, ‘a very good doctor, but he was very much older’. Asked if she’d hoped to become his wife, she added: ‘I wouldn’t disagree with that, but he was so much older.’ The relationship ended. Indeed, Margaret’s father told Muriel that her sister had been ‘very much’ upset at the news. It was over lunch on the Isle of Islay at some point in 1972 that another patrician Scot, Lord Margadale, predicted that ‘Mrs Thatcher is going to be the next leader of the Conservative Party and so she should be’, a remark considered by most present to be ‘very extraordinary’. Two years later, following two successive election defeats, Edward Heath was on his way out and, in the Sunday Post on 3 November 1974, Thatcher acknowledged she’d been receiving letters from members of the public urging her to stand. She did and won. Moore records her first, oddly exuberant, visit to Scotland, actually a diary commitment inherited from Heath. On an early trip to the United States, the new Conservative leader also talked of Adam Smith and the Declaration of Independence (both dating from 1776). Indeed, many of her speeches referred admiringly to Smith. Her Iain Macleod Memorial Lecture in the summer of 1977 praised the Enlightenment economist for his view that ‘A moral being is one who exercises his own judgement in choice’, going on to argue that ‘economic choices have a moral dimension’. On a trip to the US in early 2013, Alex Salmond posited a very similar argument. But while Thatcher also emphasised the importance of ‘community’ during an early interview for Scottish Television, she still represented a clear break with the more consensual style of her immediate predecessor. The political balance, in any case, was shifting. As Moore argues, the ‘cuts’ era usually associated with Thatcher actually began in 1976, when a Labour Prime Minister, James Callaghan, acknowledged the limitations of the post-war consensus (‘we cannot spend our way out of a recession…’) and the IMF demanded real-terms cuts (not repeated, contrary to popular belief, by Thatcher as Prime Minister). In 1977 unemployment hit 1.5 million. When it came to Scotland Thatcher trod carefully. Under pressure from party grandees she reluctantly renewed Heath’s devolution pledge, but ‘contemplated the question’, observes Moore, ‘with quite a cold eye’. ‘Although she was certainly an instinctive Unionist, it did not engage her passionate interest. 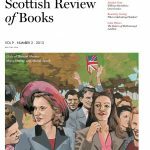 As with Northern Ireland…she always hoped the subject of devolution would go away.’ But unlike the province, uncontested by Conservatives in decades, Thatcher was conscious Scotland was an area of weakening Tory support, something she tried – successfully as it turned out – to remedy with three visits in her first seven months as leader. In late 1976 she bit the bullet and ordered a three-line whip against the Labour government’s devolution proposals. Her Shadow Scottish Secretary resigned and she turned ‘in desperation’ to the pugilistic Teddy Taylor, an appointment she’d tried to avoid, and although the outcome was messy, no more than a vague commitment to devolution, it was to the Lady’s satisfaction. As Taylor remembered, there was never a vote to kill off devolution in the Shadow Cabinet, it ‘just quietly slipped away’. Moore judges her lancing of the devolution boil to have shown qualities her opponents claimed she lacked, chiefly ‘tact, the ability to listen, and a good measure of cunning’. Something else that required careful handling was the new leader’s relationship with her predecessor. Even during the 1979 general election campaign Tory grandees feared their leader appeared divisive and extreme. Robin Harris records in greater detail than Moore an incident that took place after a particularly gruelling speech in Leith. Thatcher was informed that Peter Thorneycroft, the party chairman, had decided she should appear with Heath in the final broadcast of the campaign. ‘This she regarded as a wounding gesture of no confidence’, writes Harris, erupting with such force that ‘no one present ever forgot the occasion’. The broadcast, of course, did not go ahead. Her victory in 1979 was marred by the loss of Teddy Taylor in Cathcart, although Moore takes too much at face value his explanation as to why: ‘I want you to destroy the SNP’ (said Thatcher); ‘If we do that, I’ll destroy my seat too’ (replied Taylor). Despite a modest swing to the Conservatives and a net gain of six seats in Scotland, urban Tory support was already in steep decline. Devolution, meanwhile, was parked. As Moore says, some later argued that by ditching it Thatcher had hastened the demise of Scottish Conservatism and ultimately produced the 1997 election result, but ‘that is probably to impose later problems upon those of the period’. This is perceptive, for the importance of constitutional politics is continually overstated in contemporary Scottish history. And there, as far as Moore’s authorized story goes, the narrative ends. He is a model biographer, fleshing out a diligently researched chronology with judicious analysis and a little light relief. And despite his obvious admiration for his subject, there is shrewd criticism. ‘Strictly speaking, Mrs Thatcher was ill equipped for intellectual battle,’ he writes. ‘Despite the brisk efficiency for which she was renowned, she did not have an intellectually orderly mind; nor did she have an original one.’ Similarly, Harris writes that anyone ‘who expected her to argue a case from first principles to its conclusion, rather than mixing up principles and conclusion in her introductory remarks and then remorselessly, endlessly, repeating the mix, was likely to be disappointed’. So Mrs Thatcher clearly had her weaknesses, but also fully documented are her charms. Her patrician Scottish friends were clearly smitten. The Scottish genealogist, Sir Iain Moncreiffe of that Ilk, was the only man known to have made an indecent suggestion to her during her premiership, while Sir Hector Laing, chairman of United Biscuits, would dispatch notes he requested be placed under her pillow. She holidayed on Islay with the Margadales; a more popular guest than Heath, joining in activities with gusto, even though it was ‘not easy to get her into a pair of walking shoes’. The narrative is at first repeated, and then extended, by Robin Harris, unlike Moore a close confidante of their subject. Harris, however, isn’t much interested in Scotland (indeed it barely figures in his recent history of the Conservative Party), which only warrants a mention when it comes to the infamous Poll Tax. ‘The history of the Community Charge in Scotland has been rewritten by journalists and the revised version accepted by politicians – even Tory ones,’ writes Harris, accurately. ‘The Scots have thus been depicted as passive victims of a remote, insensitive and Anglocentric Prime Minister. They were not.’ And while the reform ‘turned out to be bad politics’, it was, he adds, ‘Scottish politics for a’ that’. Harris’s tome is less a biography and more a polemical defence of his old boss and her legacy, on which he is only partially convincing. She might have lacked a final ‘plan for society’, he argues, but the broader social changes associated with her premiership ‘owed rather little to her’, neither beginning with her time in power nor being accelerated by it. He’s also scathing about John Major, noting that Thatcher would screw up her face, adopt a ‘stage Scottish accent’ and say ‘Puir wee bairn!’, a phrase she directed at anyone, ‘however distant or close’, whom she thought was ‘being feeble’. This later included William Hague. Biographically, however, the Harris book is valuable in charting – often surprisingly frankly – the later Thatcher era, the drinking (Scotch, ‘less fattening than gin and tonic’), mental decline, physical frailty and even marital problems in the autumn of her years. Alcohol had figured in her downfall. Peter Morrison (a son of the Lord Margadale who first identified her potential) ran her ill-fated leadership campaign in 1990. ‘He not only drank: he was an alcoholic,’ observes Harris. ‘By lunch time he was drunk on vodka and tonic, and even sober he was intellectually incapable.’ Ejected from office, Thatcher herself drank rather too liberally, although problematic dental work often gave the appearance of actual drunkenness. I met her a few times during this period, usually accompanied by Michael Forsyth, a self-confessed Thatcher ‘groupie’ who, as Harris says, ‘showed great kindness’ in looking after her. The most memorable was the launch of my biography of the late George Younger, her Secretary of State for Scotland and Defence. Without doing anything in particular she still oozed charisma, though the mental decline was clear. Small talk was no problem, but anything beyond that was clearly an effort. At one point Forsyth ushered me over to talk about Scotland; the SNP, he explained, had formed a minority government in Scotland (this was late 2008). ‘Oh good,’ she replied in unmistakable tones. Not, I remember thinking, an endorsement Alex Salmond would have welcomed. She seemed much the same the following year, when Lord Forsyth hosted a dinner in Glasgow to mark the thirtieth anniversary of her becoming Prime Minister. It struck me as curious that this was commemorated in Scotland, hardly a part of the kingdom that had taken her to its heart. Perhaps there was an affinity with that, and indeed Ireland, after all. Thatcher believed herself descended from Colonel Sir John William O’Sullivan, quartermaster general to Bonnie Prince Charlie during the 1745 rising. That, of course, had been a failed revolution. O’Sullivan’s descendent was rather more successful.